Fayetteville, Ark. 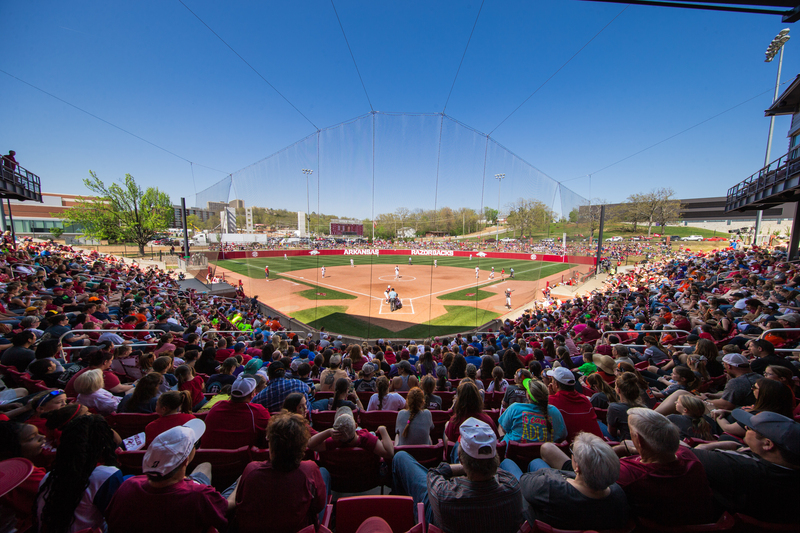 – The Arkansas softball team announced the addition of Missouri State to the fall schedule on Tuesday. The Razorbacks and the Bears will play one 10 inning game beginning at 7 p.m. next Thursday Oct. 18. All home games are free and open to the public. The game replaces a scheduled doubleheader against Oklahoma State that was rained out the past Sunday. Wed, Oct. 17 vs Butler CC (DH) – 4 p.m.
Thur, Oct. 18 vs. Missouri State (10 inn.) – 7 p.m.
Sun, Oct. 28 vs Oklahoma (DH) – 12 p.m. The 2018-19 season marks the fourth under head coach Courtney Deifel who guided Arkansas to the No. 13 national seed in last year’s NCAA Tournament. The Razorbacks’ roster will feature five-player senior class of Sydney Benz, Haydi Bugarin, Ashley Diaz, Carley Haizlip and Katie Warrick. Arkansas welcomes transfers Braxton Burnside and Lauren Graves, and the No. 22-ranked freshman class (per FloSoftball).